Friendly, courteous, genuine, honest, determined, truthful, concerned, cooperative and gracious are a few words that come to mind when I think of Leon Black. I remember first meeting Leon in the fall of 1972. I was early in my tenure of teaching Physical Instruction classes in Gregory Gym when our paths crossed. His genuine, friendly spirit was the first thing I noticed about him. Little did I know at our first meeting that it would be the beginning of a special mutually beneficial relationship steeped in truth, trust, and honesty. Our early conversations frequently included basketball coaching strategy, philosophy, and teaching. Relatively soon in our friendship, our conversations turned to the reality and necessity of recruiting African-American athletes. His concern was not just for the necessary competitive balance, but also for the undeniable reality of the shifting racial landscape at UT. This fact was true for all of UT athletics as the department was grappling with the reality of recruiting black athletes to maintain competitive balance with the rest of the national trend in intercollegiate athletics. Leon was not only concerned about recruiting; he was just as concerned about providing a positive experience for the black athletes. He was also open to understanding them as people as well as the realities they were living. It was not as easy as some might suppose for a black athlete to step onto the UT campus at that time. It was truly a different world and reality. For trailblazers and pioneers, the path is seldom easy. Yet, that is the challenge and sense of destiny and accomplishment in these opportunities. The arena that Coach Black helped build. Soon thereafter in an unofficial capacity, I began assisting in recruiting African-American basketball players, particularly in the Houston area since I had graduated high school and college in Houston. I was well connected with the head coaches at Jack Yates, Phyllis Wheatley, Kashmere, and Worthing High Schools. In addition, I became an ear, mentor, and advocate for the black basketball players that were recruited to the UT basketball program. Tyrone Johnson, James Price, Phillip Davis, Ed Johnson, Ovie Dotson, Gary Goodner, and Johnny Moore were players that I offered a mentoring and understanding presence. I can honestly say that Leon Black was just as concerned about these young men as human beings as well as basketball players. Please understand the challenge of the times for all concerned. I remember sitting in Ovie Dotson’s home in San Antonio and assuring his mother that I would look out for her son as she had concerns about him attending UT. I was true to my word. A few years prior the same was true for Tyrone Johnson, a juco transfer from Tyler JC, as I sat in his home in East Austin assuring his mother that I would look out for Tyrone as she had similar concerns about him attending UT. Again, I was true to my word. Tyrone and I remained close friends until his sudden death in 2001. It’s important to understand the negative image that UT had in the African-American community at that time and the very real concerns that parents possessed. We were pioneering and blazing trails in uncharted territory for UT. Through it all, Leon Black and I maintained our warm, trust-based relationship. He allowed me great latitude in my conversations with these players, as he was aware that I understood the life language as well as the different realities they were living. We were of one accord in working for the positive good of both the players and the basketball team. He trusted me, which inspired the best in me and still does. One of the things I appreciated immensely about Leon was that he was willing to enter the worlds of those who were different from him. He was truly trying to understand and come to grips with the changing racial dynamics at UT. His actions, even more than his words, spoke loud and clear about the genuine truth of his convictions. I will go to my grave with memories of many deep, difficult, yet rich conversations I had with Leon and the players. 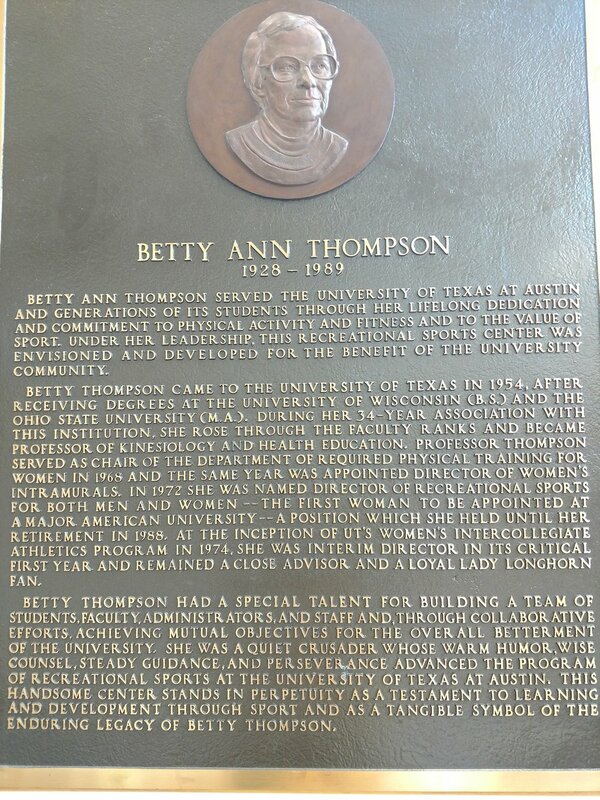 As 1973 rolled around, I became the UT Women’s Basketball coach and our mutually beneficial relationship continued and accelerated. Wow! To say that we were on a shoestring budget would be an understatement. Our salvation was Leon Black. Let’s be clear, no money or funds changed hands. Yet, Leon Black’s generosity and benevolence were worth a shipment of gold. Let me count the ways: Equipment, facilities, and manpower in terms of freedom to utilize his managers and trainers. We experienced many firsts in that first year and Leon Black had a great deal to do with that. He was so willing, so genuine, and so true. Specifically speaking, we shared basketballs with the men’s program as we had a very limited budget. Men and women were using the same sized basketball in the early years. Sometimes I would trade a brand new basketball for two lightly used men’s basketballs as I was trying to increase our equipment for the women’s team. Hustling was an everyday thing for me. We had no training budget, but Leon was gracious enough to allow us to utilize his trainers as well as often providing tape and other training supplies and equipment from the men’s supply. We also shared the men’s video equipment and utilized their film room. In addition, everything related to the Gregory Gym clock was shared with us. Last but not least, Leon offered me the use of his basketball office phone for long distance calls for recruiting purposes since we technically had no recruiting budget. That first year Leon and I collaborated on several doubleheader basketball games with the women’s game preceding the men’s game. Another first made possible by a willingness and generosity of spirit. This proved to be a very successful venture and helped our women’s basketball program to be showcased in a more positive and legitimate light. It was so easy working with Leon, as we were kindred spirits in many respects. I can only imagine how difficult our path would have been without the assistance of Leon Black. That says something about the heart and spirit of the man. As I close this remembrance of Leon Black, I remain eternally grateful for his friendship and sharing heart. I would say that Leon Black was a true friend. He was sincere, honest and kind. His sense of fairness, his ethics, and his Christian values were obvious as his actions spoke much louder than his words. I firmly believe that his actions were making a statement about the way things were, and about making for a better way. I would also say that Leon Black was a true pioneer and quiet warrior in making a huge impact in terms of the recruitment of African-American basketball players at The University of Texas. Rodney Page's contributions to Longhorn traditions represents a portal to the past that reminds Longhorn fans that heritage shapes the present and empowers the future.